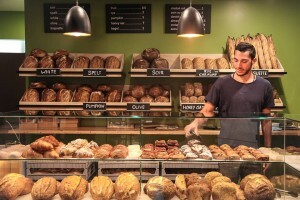 It’s a Melbourne tradition for locals to pick up a loaf of sourdough or a danish from the local bakery on their morning walk, and in St Kilda, you’re perfectly placed. 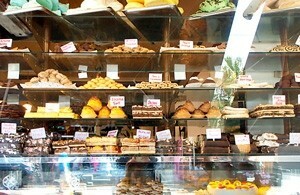 Quaint little bakeries and their array of treats on display are so uniquely St Kilda, they attract crowds to their windows every weekend. Here are our favourite St Kilda haunts for when you’re in the mood for a slice, cake or pastry. Perhap s one of Acland Street’s biggest drawcards are its cakes. On any Sunday morning you’re bound to see locals and tourists alike flocking to the famous windows, making the difficult decision on which creamy slice or fresh pastry should accompany their morning coffee. Step into Acland Continental Cakes for some traditional Polish style cheesecake. It’ll pay to believe the hype! 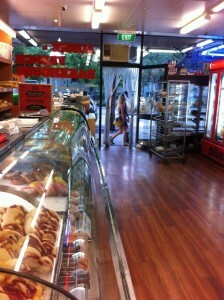 Just a few doors down from Acland Continental Cakes is a St Kilda institution, baking for over 85 years. Monarch Cakes prides themselves on baking with fresh, natural ingredients, the same way as it was done all those years ago. Chocoholics will find themselves right at home here, with the decadent Choc-Hazelnut Fudge and the famous Chocolate Kooglhoupf starring on the menu each day. If you’re looking for a loaf to pair with your smashed avo in the morning, you need look no further than this cheeky bakery. Il Fornaio mix innovation with tradition in all their baking, using state of the art equipment and the finest organic and true spelt flour, but keeping the soul and passion that has been a part of Italian baking for centuries. 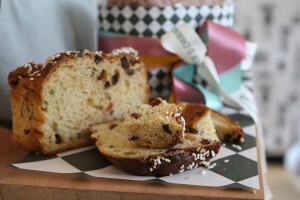 Speaking of traditional Italian baking, be sure to try the olive loaf, perfect for any time of day. Fitzrovia might not be the name that springs to mind when you’re thinking about brunch, but don’t let this restaurant’s reputation for impeccable wine and classic, London style dinners fool you. There is just as much to love about this bohemian inspired haven each morning when the coffee begins to brew. Start your day with some sourdough or fruit toast, all using locally and sustainably sourced ingredients, or enjoy a mid-morning coffee accompanied by a savoury muffin or cake. 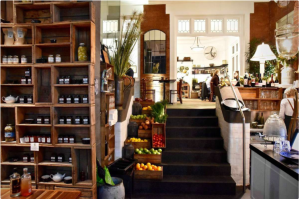 Escape the morning crowds of Acland Street and head to this charming Barkly Street bakery. These guys specialise in sourdough and produce around a dozen varieties. If you’re more in the mood for something sweet, they also have you covered with a fruit loaf and a range of biscuits. The team at The Woodfrog Bakery have baking down to an art, infusing a number of flour blends in the quest for the perfect sourdough loaf. This Fitzroy Street spot is a carb-lovers heaven. 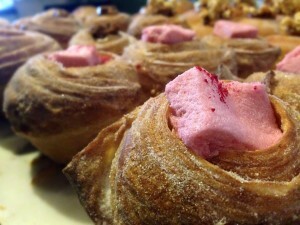 Fluffy loaves of bread and mouth-watering pastries line the walls at this stylish bakery. Baker D. Chirico is hugely popular among locals, so you’ll have to get in quick before your morning loaf, and be prepared for lines out the door for your Easter-time goodies. You’ll soon find out the rush is worthwhile, however, especially if you’ve been lucky enough to pick up some of the bakery’s acclaimed nougat. If it’s a good, old-fashioned hot jam donut you’re after, then Aussie & French Bakehouse down Fitzroy Street is the place to go. This local favourite has a great variety of bread straight from the oven, and their donuts are stuffed to the brim with jam and fresh cream. 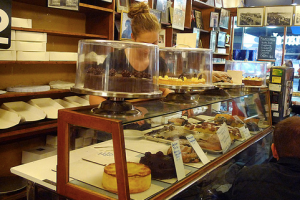 Some of Melbourne’s most acclaimed bakeries lie on the streets of St Kilda, and you only need to ask any local crowded around an Acland Street window on a Sunday morning to know just how good they are. Sweet or savoury, from sourdough to pastries, stop by and find your new favourite brunch stop by the bay in St Kilda.